Dr. Ronello C. Abila is the Sub-Regional Representative for South-East Asia of the World Organisation for Animal health (OIE) and also manages the OIE South East-Asia and China Foot and Mouth Disease (SEACFMD) Campaign. Dr. Abila is a Filipino Veterinarian who graduated as a Doctor of Veterinary Medicine (DVM) from the University of the Philippines and a Master of Science in Veterinary Epidemiology and Preventive Veterinary Medicine from Free University of Berlin, Germany. 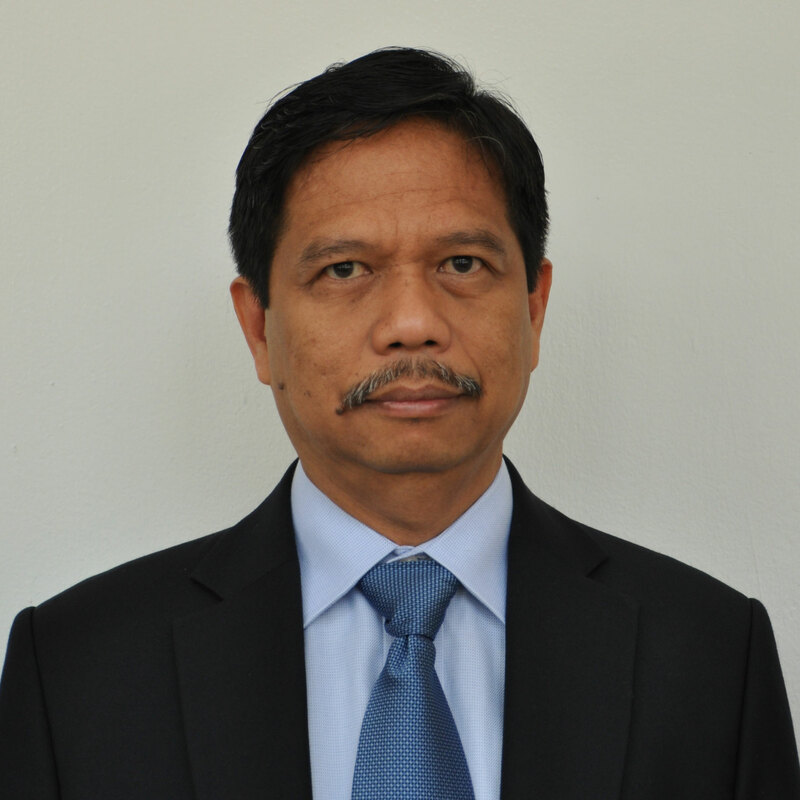 Dr. Abila joined the OIE in June 2004 as Regional Coordinator of SEAFMD Campaign, and in September 2007 he was given additional task to manage the OIE/AusAID Programme on Strengthening Veterinary Services in South East Asia until March 2009. In April 2009, he was appointed as the OIE Sub-Regional Representative concurrent with his position as Regional Coordinator of SEAFMD Campaign. At present, he supervises various programmes being implemented by the OIE including the AMR Control in Asia funded by UK Fleming Fund. Dr. Abila has a wide experience in managing disease control programs. Among the major contributions of Dr Abila is the development of the SEACFMD Roadmap 2020 and in assisting countries to control FMD. Dr Abila is instrumental in the eradication of FMD in the Philippines, and in various OIE support to control FMD in Myanmar and Lao PDR. He also coordinate the sub-regional control of rabies in South-East Asia supported by One Health Component of the STANDZ programme. He supervised the development of a South-East Asia Dog Rabies Elimination Strategy which was later transformed into the ASEAN Rabies Elimination Strategy (ARES). Before joining the OIE, he handled various posts in the Philippines’ Bureau of Animal Industry as head of the Epidemiology Section, National Veterinary Quarantine Services and Animal Health Division. He spearheaded the development of the Philippine Animal Health Information System (Phil-AHIS) and the setting up of various disease control committees and task forces and development of national disease control and prevention programs. He was involved in the eradication of FMD in the Philippines, development of National Rabies Prevention and Control Program, the drafting of HPAI prevention programme, and spearheaded the establishment of the National Hog Cholera Control Committee in 2002.